We are photographers dedicated to the art of family. Your family is the most important family in the world... to your children. It is our honor to gather up all of the goodness and love that exists in the relationships of your family and capture it through our photography. In this day of amazing technology, anyone can take a picture... but we make art, the art of family. We take what we do seriously, and have immense joy and gratitude in doing it. Life is not easy or predictable, and that is why your moments of pure joy and love with your family deserve to be made into works of art. They should be remembered, and treasured. They should hung on your wall, carried in your wallet, worn around your neck... to be celebrated when the day is going well... and to be clung to when the world around you seems to be falling apart. Our desire is to capture the essence of your family in such a way that your photos remind you to slow down a little when life gets to fast, and cheer you in encouragement that the hard work of raising a family is so well worth it. Your moments with each other are treasures, and we will treat them as such. A Good Book once said that faith, hope, and love will remain and that the greatest of these is love. Our business is built on these truths, because that they are what families are built on too. 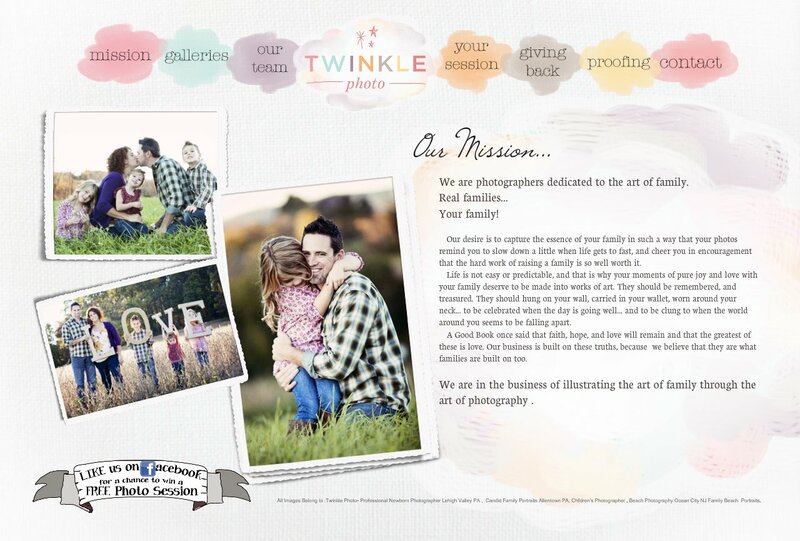 We are in the business of illustrating the art of family through the art of photography . Please, let us have the honor of helping you tell your family's so very precious story... for you, for your children, for your children's children. Your story is one of a kind, we see the beauty in it... and we are here to make it into art.